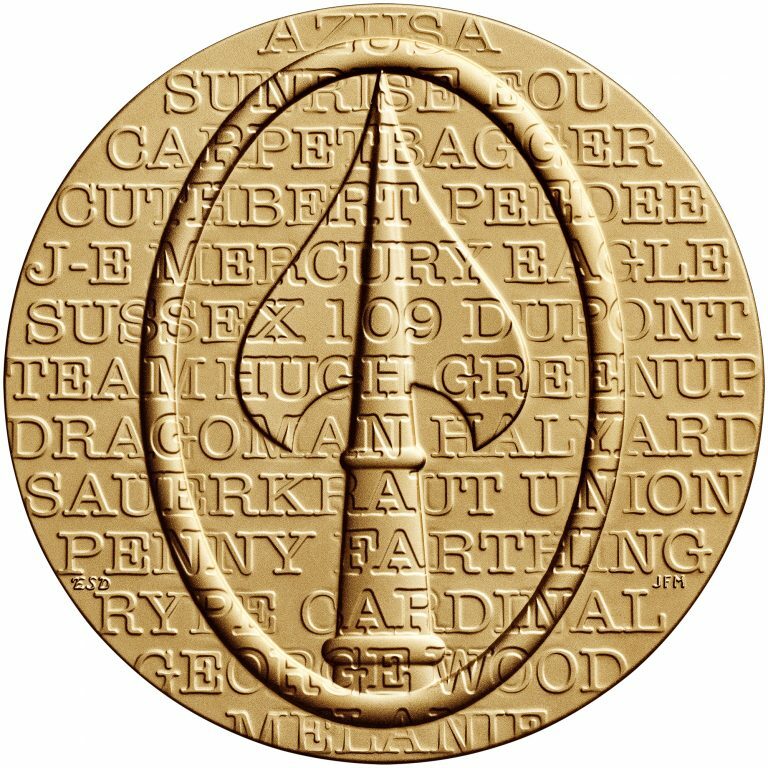 This medal is a bronze replica of the Congressional Gold Medal presented collectively to the members of the Office of Strategic Services (OSS). 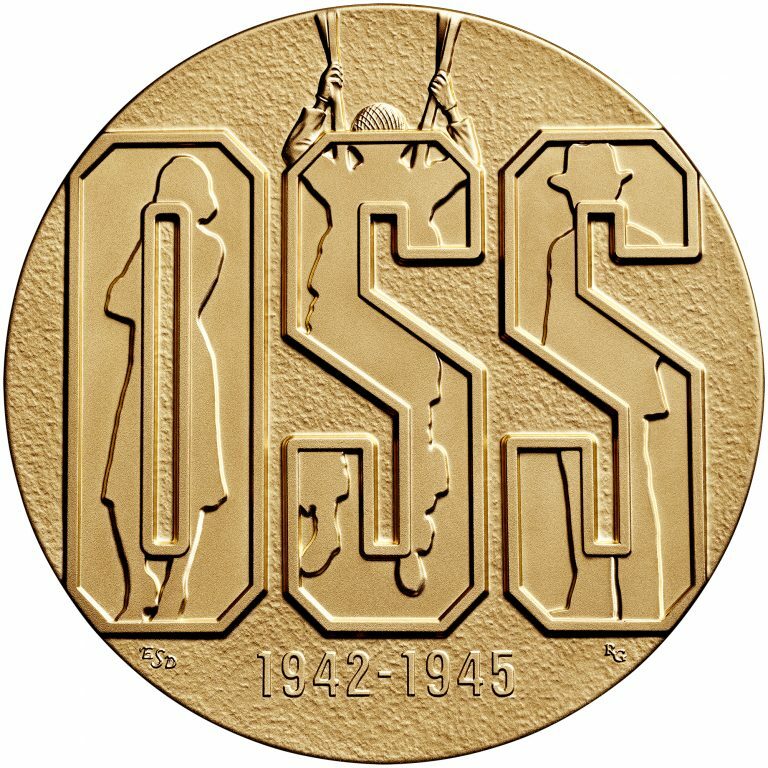 The obverse (heads) design features the inscription “OSS” revealing three figures – a woman, a paratrooper, and a man in a suit, representing the broad range of work undertaken by the OSS. Each figure is rendered as a shape without details, hinting at the way OSS agents sought to operate anonymously or “in the shadows.” The diversity in the OSS is also reflected by the shadowy figures, conveying that OSS members were men and women, civilian and military. The design also features the dates “1942-1945,” the years during which the OSS operated. 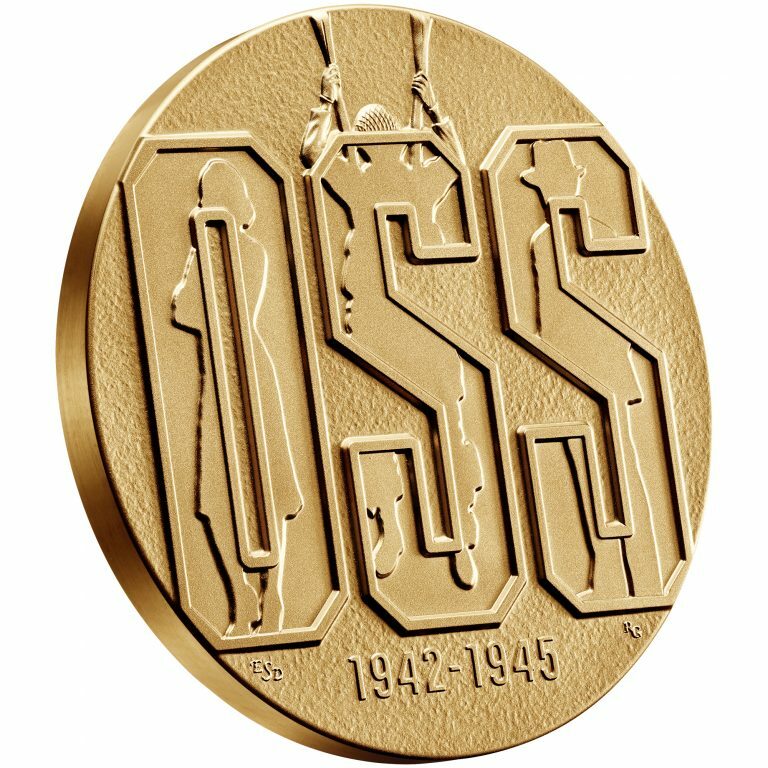 The reverse (tails) design features the OSS Spearhead inscribed with code words related to important OSS missions and agents.